We met over this past weekend for our Fall wine club meeting. The theme was pretty simple: Cabernet Sauvignon. We do this meeting almost once a year and it is always a fun meeting. Had some delicious food including pizza, grilled New York Strip, grilled tuna steak, a nice assortment of cheeses that complimented the wines and some interesting deserts from Whole Foods. As discussed in previous years, the Fall Wine Trade Tastings are upon us. This is our chance to taste the new vintage wines in preparation for the Holiday season. By tasting the wines, we get to evaluate if we went to bring them into the store for our customers, although we may test some wines we really like that are available for special order but not in stock at the store. If something interests you please give a call or shoot us an email. The following notes are from only a single tasting but give potential customers an idea of what the wine is like utilizing the traditional 100 point scale. Robert Craig – Consistent producer of high quality Napa Valley wines. The Affinity is an especially good deal in comparison to the other wines. There 2011’s seem to have come out very nicely. Round Pound – Decent Sauvignon Blanc but the Cab is the real star at this winery. High quality and won’t break the bank. Pahlmeyer – Premium producer of some of the best Chardonnay, Merlot and Cabernet Sauvignon in all of California. Your paying top tier prices but these wines are at the top of the food chain. Chateau La Nerthe – Nice producer out of the Southern Rhone. Both the red and white are very nice. Brandini 2009 Barolo – 90. Nice Barolo but ends with some drying tannins. Archery Summit – Decent producer of Oregon Pinot Noir but a tad overpriced. Chappellet – Consistent producer of high quality Cabernet using mountain fruit on Prichard Hill. Coho – Year in and year out the Headwaters is a very nice wine at an affordable price for a Napa red. The Pinot Noir I have never been impressed with but this years had distinctiveness and nice flavors. Heitz – Legendary producer of some of the best, longest lived Cabs in Napa Valley. The Martha’s Vineyard is epic. Dr. Loosen – One of the best estates in Germany. Their entry level Dr. L is consistently excellent! Venge – Great Napa estate with a history of very good Cabernet. Surprised how good the Chardonnay and Pinot Noir were though. Shafer – Like Pahlmeyer, this is the best of the best. All the wines are good but the Hillside Select is just another level of excellence. The 2010 is one of the best wines you’ll ever try. Honig – Always a consistent and affordable producer of high quality Napa Valley Cabernet Sauvignon and Sauvignon Blanc. Robert Keenan – Napa producer whose Cabernet and Merlot is consistently delicious with fairly reasonable pricing by Napa standards. Bollinger – First time I remember having this Champagne and was blown away by the quality. The Special Cuvee was very nice an a great introduction to the style. The La Grande Anne was just a spectacular top flight Champange. Ferreira – Excellent Port house with pretty reasonable prices. The Dona Antonia Reserva is a great value. Trimbach – Maybe the most renown Riesling in the Alsace, producing a great range of wines at different price points. Hall/Walt – Hall has done big things in Napa to improve the quality of there wine and expand their portfolio. Their new Walt label seems interesting but they may need some time to get their bearings. Their Cabernet remains the star. Paul Hobbs – Consistent producer of both high quality luxury wines and more affordable selections which he balances really well. Meeting theme was Burgundy. Had some nice wines but even better food. Stuffed clams from Stowe’s in West Haven, homemade lobster mac and cheese, lamb chops, salmon and pizza from Roseland! Overall, the wines were all nice although nothing stood head and shoulders above the rest. 2012 William Fevre Fourchaume won wine of the night but all the wines were really close in the voting. This past weekend our wine club got together for our Spring meeting. There was no theme for this meeting so everyone could bring whatever they wanted. Tasted blind. This had a very expressive nose of peach, tangerine and some citrus. Nice acidity to it and no oak presence, got some peach, grapefruit and tangerine on the palate as well. Thought for sure this was a Sauvignon Blanc but I have found the unoaked Chardonnay’s can be mistaken for Sauvignon Blanc’s. Was shocked when the bag came off of this. Never would have suspected Smoking Loon Steelbird. No denying it is a well made wine though. (88 pts.) In Stock $7.99! Got together with my usual wine group for a Dunn Vertical. Started off with a couple of whites but then kicked it over to the Dunn. One couple had an emergency and unfortunately could not make it. Said he was probably going to bring an 82 and 90. Feel bad that they could not make it. Still had an interesting vertical with what we had. Amazing the consistency and style of these wines throughout. One consistent thing throughout was that the wines all tasted young with long, long lives ahead. On March 11th, Distributor Michael Skurnik Wines held their annual trade tasting in New York City. This is one of the best shows of the year that highlights their portfolio from high ends wines to some great value wines. Since the show services the Tri-State area, some of the wines I tasted may not be available in Connecticut or distributed by another company. If you are interested in something please contact us to confirm availability. When I go to these events I try to taste through as many wines as possible in a very short period of time. There is no way I can taste every wine there. Therefore, it is relatively difficult to write detailed tasting notes about each wine. What I try to do is write some comments on the producers that really stuck out and assign each wines a score. If I give it a score I can at least let you know how much I liked the wine. Onto the wines. Charles & Charles/Bieler Pere et Fils – Really nice value wines. Rose wines were certainly impressive and inexpensive. Onabay Vineyards – New York is starting to do some interesting things with Cab Franc. Not only in Long Island but the Hudson Valley and Finer Lakes. Owens and Vaughn – Nice value wine. Alpha Estate – Greek estate showing a lot of promise. 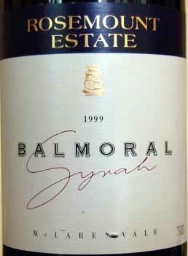 The 2008 Estate was particularly interesting with a blend of 60% Syrah, 20% Xinomavro and 20% Merlot. Bodegas Ladera Sagrada – Tasty Godello at a very reasonable price. Compania Vinicola del Norte de Espana (CVNE) – Impressive set of wines. White was very nice and the reds had nice structure. Made in more of an old world style. Bodegas Emilio Moro – Another set of Spanish gems. The two high end wines were quite nice but the Resalso is a great value. Bodegas Cepa 21 – Again, fine entry level wine and the Malabrigo was on another level. La Rioja Alta – Impressive showing. The 2001 and 1998 were both stellar. 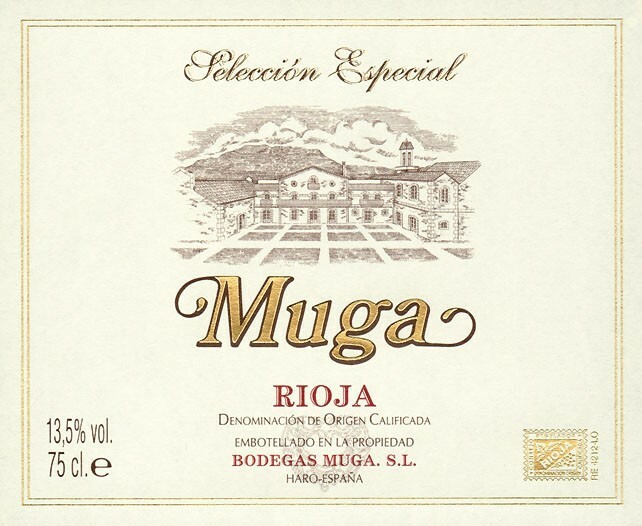 Benchmarks for aged Rioja. Domaine Saint Prefert – Top Chateauneuf producer but for more reasonable prices. Domaine Rolet – Sparkling wine tasted like a fine champagne costing twice the price. Chardonnay comparable to a fine white Burgundy. Both are splendid and affordable. Domaine Marc Roy – Year in and year out these wines are very consistent. Not to mention coming from one of the best vineyards in Burgundy and for very reasonable prices. Clos des Papes – Both wines were excellent, the red probably being my favorite wine in the entire tasting. Estate is just on top of their game at the moment. E Pira – Chiara Boschis – First in a line of excellent Barolos. Both 2009 and 2010 stood out here. La Spinetta – I found these the most impressive from Piedmont. Both the Barbaresco and Barolo wines were breathtaking. Based on what I tasted here, 2010 is a great vintage. Vallana – Excellent value wines that also age very well. Had a 64 Spanna last you that was one of the best older wines I have ever had. Domenico Clerico – Consistent producer of some of the regions best Nebbiolo based wines. Had a 99 Barolo Per Cristina last year that was just starting to enter it’s prime. Mud House – Producer of some great Sauvignon Blanc and impressive Pinot Noir from New Zealand. Prices are more than reasonable for the quality. Altos Las Hormigas – Impressive value wines that over-deliver. A no brainer buy for the price conscious. Malbecs are top notch wines and simply delicious. Tres Palacios – Another nice set of value wines headlined by the Carmenere wines that proved flavorful and interesting. Kingston Family – Impressive showing, especially for the Pinot Noir which was very nice. Quality is definitely improving for Chilean Pinot Noirs, with the closest comparison being California. 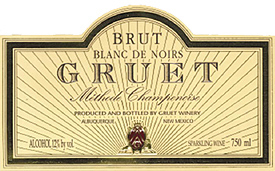 Joel Gott Wines – Great values. 2012 Cab was killer for the money. We have the 2011 in stock still but the 2012 should be coming soon. Anthill Farms – Have been impressed with their wines when I have had them this year and two years ago. Very elegant. Sandlands – The line for this was crazy so by the time I came back there was only 1 wine left. Specializing in obscure grapes. Sandhi – Interesting wines but some can be quite expensive. Really showcases what the Santa Barbara region can do. Domaine De La Cote – New venture by Rajat Parr and Sashi Moorman. Joseph Swan – Very nice showing for this winery. Never knew they made a Ritchie Vineyard Chardonnay but represents a outstanding value compared to some other wineries that make one but charge double the price. O’Shaughnessy – First time trying their wines. Cab was very impressive, especially considering that 2011 is not a great vintage for Napa Cabs. Kistler – Impressive set of wines this year. I got to try some of the Sonoma Coast Pinot hours after tasting it initially and it really blossomed. The score below reflects my initial thoughts but improved to a 93. Siduri – Caught some flack from some critics for being too tannic but I really enjoyed the wines. Lot of bright fruit and complexity. Corison – I like the wines, made in more of an old world style, and the fact they hold back inventory to release in the future. Ramey Wine Cellars – Year in and year out, very consistent. Chardonnay are always excellent across the board. Paul Hobbs – Again, good wines across the board. The 2012 Chardonnay’s and Pinot Noir’s were quite nice! Charles Smith Wines – Producing some of the best value wines in the market right now. Kun Fu girl is consistently good year after year. The Merlot is top notch for $12.99 and the Cab is also good. Turley – For Zinfandel producers, Turley is at the top of the food chain. The Juvenile is especially impressive in the 2012 vintage and is affordable. Opened up a few Cabs for our friends who came up from NJ who brought two bottles as well. Tried through all the wines blind first then we revealed what the wines were before sitting down for dinner. Made short ribs with pasta and a pancetta cream sauce. For desert my wife and I made a pecan pie from a recipe from the one and only pecan pie expert, Barbara Zanowiak! This past weekend our wine club met for a Winter meeting. The theme being Rhone varietals, which provided some interesting drinking. The food went quite well with the wine. We had an assortment of cheeses and bread, the brie went especially well with the Roussanne, duck confit, lamb chops and pasta in a pancetta cream sauce. The heavier dishes went really well with the fuller bodied Rhone varietals. This first wine threw me for a little bit because I initially thought it might have been older than it was. Got a lot of raspberry, bacon fat, smoke, pepper and a lot of earth. To me it screamed Syrah or at least a blend with predominantly Syrah. 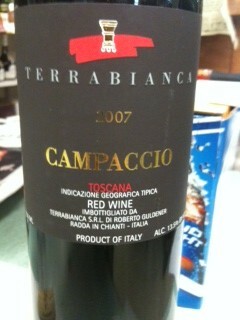 I could not find an exact blend on line but what I did find said it was predominantly Grenache and Syrah in the blend. This had flavors of cherry, raspberry, leather, smoke and earth. Ended with a decent finish. Enjoyed the smokiness. Interesting wine, especially given its age. Got some beeswax, flowers, mineral and stone on the nose. More beeswax, slate peach and a flintiness on the palate. Very nice acidity. Went very well with the brie cheese. Tasted very fresh for a 2008. I really didn’t think it was that old when tasting it blind. This had a very pleasant nose of plum, violets and cherry. Had a little age on it in the color but thought this was probably younger than the previous Chateauneuf we had. Got some nice flavors of plum, blackberry, cherry and ended with an iron note on the long finish. It was amazing how different the two Chateauneuf’s were. I thought this might have been more Grenache based and turns out I was right. Unfortunately missed the country. Really enjoyed this wine. This wine was probably the heaviest of the night. Aromas of cherry, raspberry, bacon fat, violets and other flowers came from the glass. Very interesting nose and actually resembled a SQN I had back in the Fall, although it was not quite at that level. Got some nice cherry, plum, iron, blackberry and mineral. You could tell this had a higher alcohol content but was not out of balance at all. Ended with a very long finish on this impressive wine from Carlisle. This won Wine of the Night. All in all, a very pleasurable meeting. I have gotten friendly with a group of guys from the wine boards and a couple times a year we get together for dinner and wine. Being that these are all people just as obsessed with wine as I am, the dinners usually feature some of the best wine out there. This one was no different, featuring some of the best Cabs I have ever had, not to mention a fabulous Chardonnay and Champagne. A nice exercise when you work with wine to see what the top of the food chain has to offer. Also lets you appreciate those special value finds, some of which you’ll find in the shop.